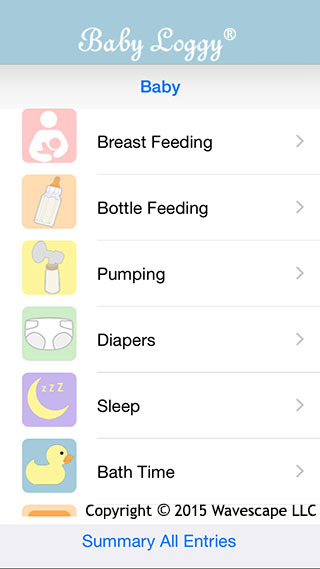 The simple and intuitive way to track your baby's care. Check out our story on ThinkApps! 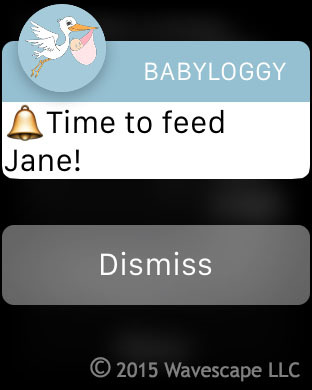 Baby Loggy® helps you track your baby's breast feedings, bottle feedings, milk pumping, diaper changes, sleeping times, bath times, growth measurements, medications, milestones, notes and more! 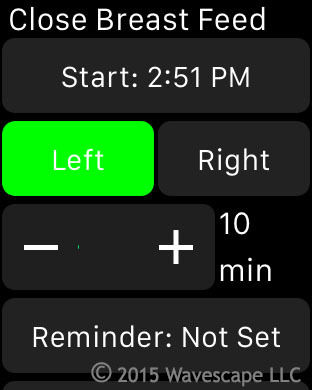 Create new care entries directly from your Apple Watch. Create a new reminder from your Apple Watch. Glance to see your most recent entries and reminders. 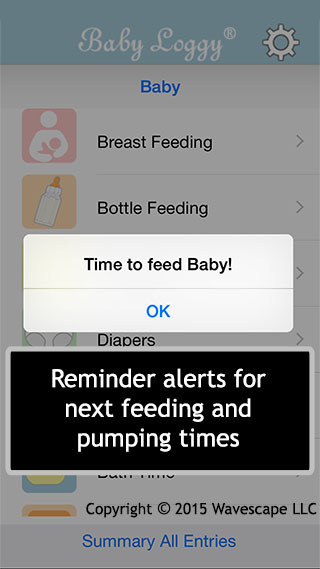 Receive reminder alerts for the next feeding, pumping and medication times. Timers for breast feeding, bottle feeding, pumping, sleeping and bath times. 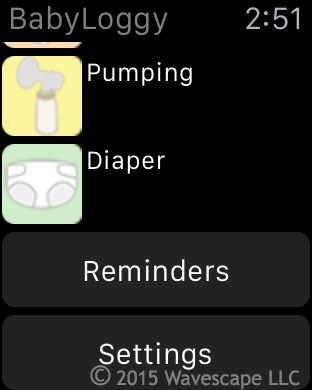 Reminders to alert you when the next feeding and pumping is due. Track bottle feeding times and amounts fed. 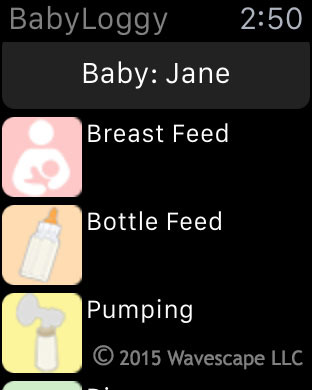 Pump log to track breast milk pumping. View a summary of recent feedings, average minutes and amounts fed per day. Send an email summary of all of your baby's care to yourself, a caregiver, or to your doctor. Track more than one baby, whether you have twins or multiples. 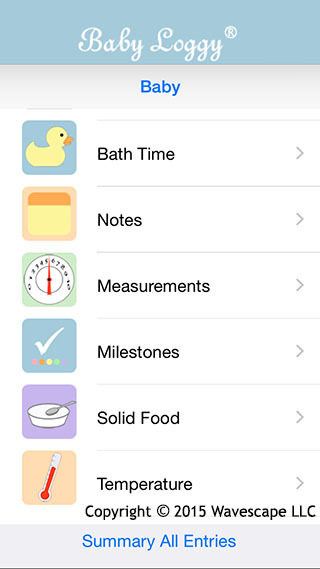 Track your baby's measurements including; weight, height and head size. Track your baby's medications. Add your own medication types and units. Keep notes about milestones, solid food, and any of your baby's activities. The free version has a limit of 200 entries. Upgrade to the full version to save unlimited entries. We strive to do great work! If you have any comments or suggestions, feel free to contact us by email. Frequently Asked Questions (FAQ) - Answers to frequently asked questions. How to Buy the Upgrade to the Full Version - Instructions for purchasing the full version. How To Change your Baby's Name - Describes the limitations with changing your baby's name. How To Rate the App - Instructions for how to rate the Baby Loggy app in the App Store.